WALL STREET, October 12 -- New York City police threatened to arrest protesters and the Press in front of Bank of America on Broadway Tuesday at dusk, a block from Zuccotti Park which some now call Liberty Plaza. Click here for video by Inner City Press. At dusk a non-violent group largely concerned with Bank of America funding of mountain-top removal coal mining crossed Broadway from the park. 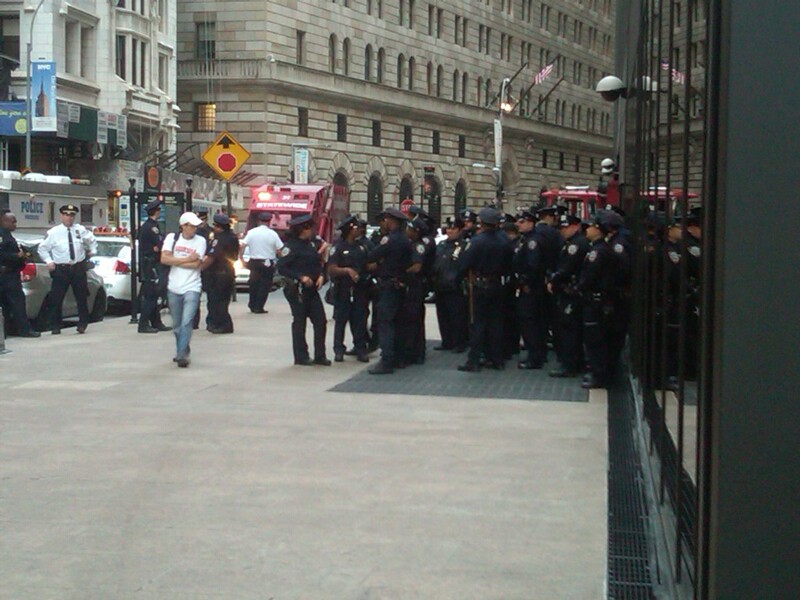 White suited Reverend Billy began an "exorcism," preaching how Bank of America funds wars -- then the police moved in.